April 16, 2016 – Scientists on NASA’s New Horizons mission team are learning more about the structure and behavior of Pluto’s complex atmosphere by discovering new attributes of its extensive haze layers. The hazes were first discovered by New Horizons in July, as the spacecraft swept past Pluto and made its historic first exploration of the mysterious world. Mission scientists have discovered that the layers of haze in Pluto’s nitrogen atmosphere vary in brightness depending on illumination and viewpoint, yet the haze itself maintains its overall vertical structure. The brightness variations may be due to buoyancy waves – what atmospheric scientists also call gravity waves – which are typically launched by the flow of air over mountain ranges. Atmospheric gravity waves are known to occur on Earth, Mars and now, likely, Pluto as well. 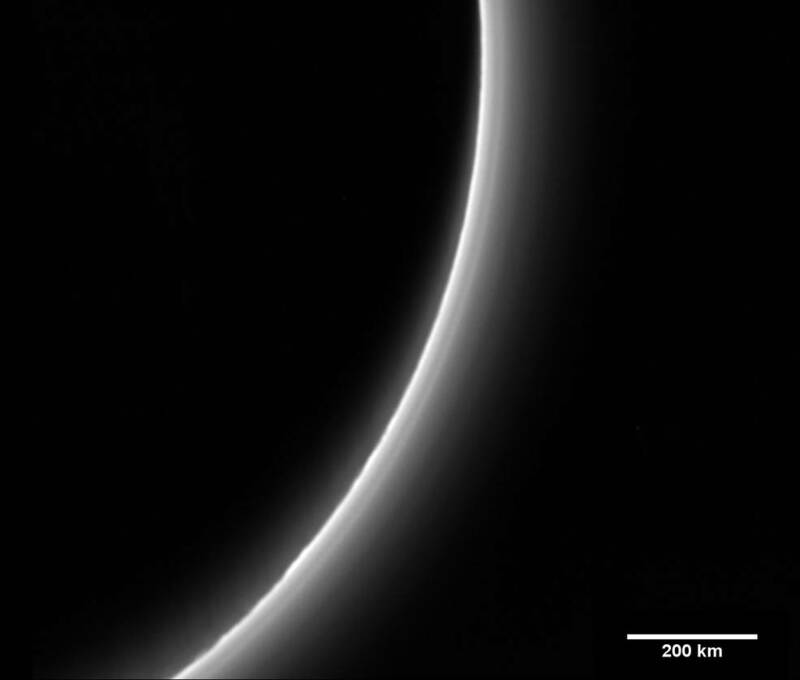 Pluto’s haze layers are best seen in images taken by NASA’s New Horizons spacecraft with the sun behind Pluto. New Horizons obtained a series of these backlit images as it departed from Pluto on July 14, 2015. In these observations, from New Horizons’ Long Range Reconnaissance Imager (LORRI), the haze layers over particular geographic locations on Pluto were imaged several times, at time intervals of 2 to just over 5 hours. The brightness in the layers varied by about 30 percent, though the height of the layers above the surface remained the same.